XPressz Inspiring meeting today with @FreedomFdn_UK about a potential collaboration - I am buzzing! Xenia Pestova Bennett shared a post. 1 week 4 days ago. Xenia Pestova Bennett shared a post. 3 weeks 3 days ago. Xenia Pestova Bennett shared a post. 3 weeks 4 days ago. Xenia Pestova Bennett shared a post. 4 weeks 1 day ago. Coming soon to Café OTO: Luc Ferrari Stereo Spasms - I will be playing some amazing and rarely-performed pieces for piano and "tape" on February 9 https://www.cafeoto.co.uk/events/stereo-spasms-festival-three/ 3 months 20 hours ago. 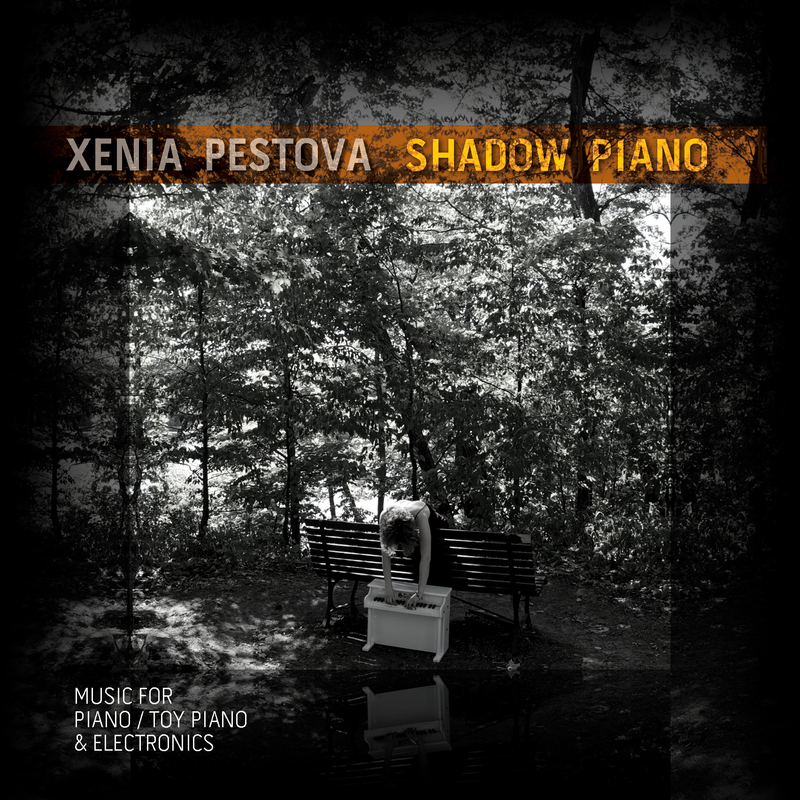 This debut solo release from Xenia Pestova follows on the heels of her piano duo recordings of seminal works by Stockhausen and Cage for Naxos Records, and brings together six carefully-crafted new works for keyboard instruments and electronics in an intricate and seductive blend of unusual sonorities and shimmering hues. Far from being “effects” or tools for processing instrumental sound, the electronic identities blend and interact with the acoustic sounds in the same way that complex technologies extend our minds in daily life, becoming transparent and inseparable from our selves. Pestova has been specialising in contemporary repertoire with extended techniques and new technologies, in particular works for piano and live electronics. This album builds on the pianist’s close collaborative links with six leading electronic music composers and also introduces the toy piano, a keyboard instrument with an unusual history.Taken doubly out of context, this children’s toy assumes the role of a fully-fledged concert instrument with its own body of virtuosic repertoire post-John Cage’s Suite of 1948, crossing over into non-standard spaces and performance modes through the addition of computer processing techniques. "On the Impossibility of Reflection" by Scott Wilson exploits the idea of mutating delay lines and resonance in an improbable game of call and response between the piano and the computer. Lou Bunk's "being and becoming" is a Zen-like meditation on a quiet cell played with subtle variation on the fragile toy piano and blossoming in a surprising development. Andrew Lewis' "Schattenklavier" (shadow-piano) contemplates life and death and pays homage to Stockhausen, quoting and transforming the piano part of "Gruppen" in counterpoint with an electronic counterpart. Derek Hurst's "An Wem: Notes from Underground" is a short and crunchy statement in three interconnected movements, again on the toy piano, while "X" by John Young has the pianist weave intricate Messiaenic harmonies around a flexible electroacoustic sculpture. The concluding "Fuga Interna (begin)" by Katharine Norman is a poem of memory, childhood piano lessons and loss of her mother as well as the loss of memory; connecting the past, present and future. This project is also a collaboration with photographer and visual artist Veronika von Volkova, whose sensual, dark and dreamlike images are featured on the CD and its companion book of photography, available directly from the artist. Xenia Pestova is a concert pianist with an unusual and colourful profile. As a dedicated promoter of music by living composers, she has commissioned, premiered, recorded and broadcast numerous new works, and is a frequent collaborator on the creation of interdisciplinary projects with new technologies. Her recording of Stockhausen’s “Mantra” with Amsterdam-based pianist Pascal Meyer is widely praised in the international press and hailed as “a highly accomplished presentation of one of the landmark pieces in the second half of the 20th century” in the Guardian. In addition to her love for the piano, she enjoys performing on other keyboard instruments and interfaces, including her ever-growing collection of toy pianos. She is a Schoenhut Concert Artist and is currently the Head of Performance at the Bangor University School of Music in North Wales.